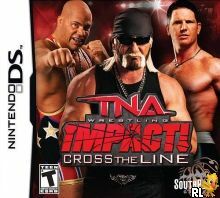 OverviewTNA iMPACT: Cross the Line is a portable version of Midway's TNA Wrestling game. Enter the world of pro wrestling TNA style. Despite being a newer game than TNA games on other systems and including Hulk Hogan it still has the six sided ring from pre Hulk TNA. This does give the game a diffirent feel and for me is good. Nice graphics good story mode and plenty of options make this worth a go if you like a bit of virtual wrasslin. Now you can add videos, screenshots, or other images (cover scans, disc scans, etc.) 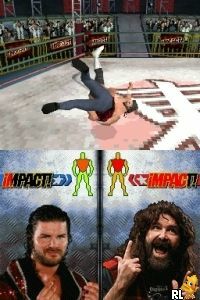 for TNA Impact - Cross the Line (U) to Emuparadise. Do it now!